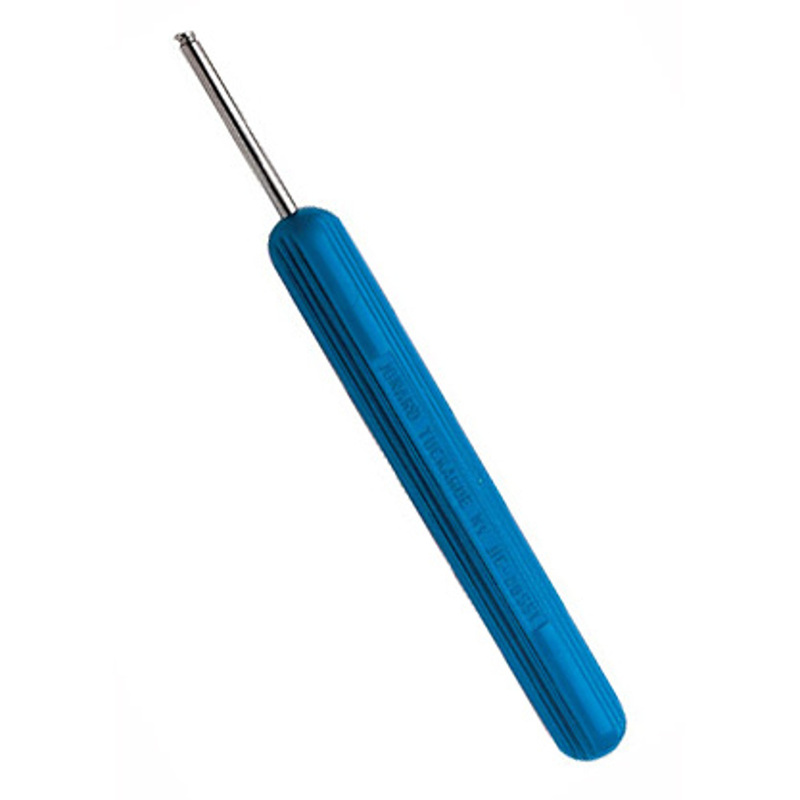 Consists of a threaded steel bit and blue plastic handle. A terminal hole is provided to accomodate terminals with cross-section dimensions up to .032 x .062". 5" long.